Please contact Leo for sales of these money clips. 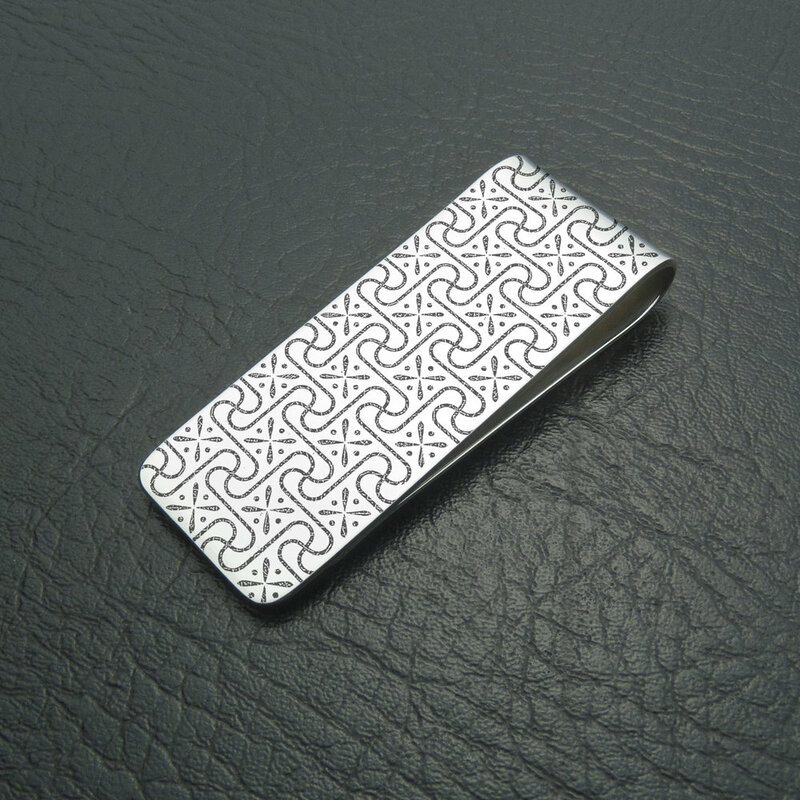 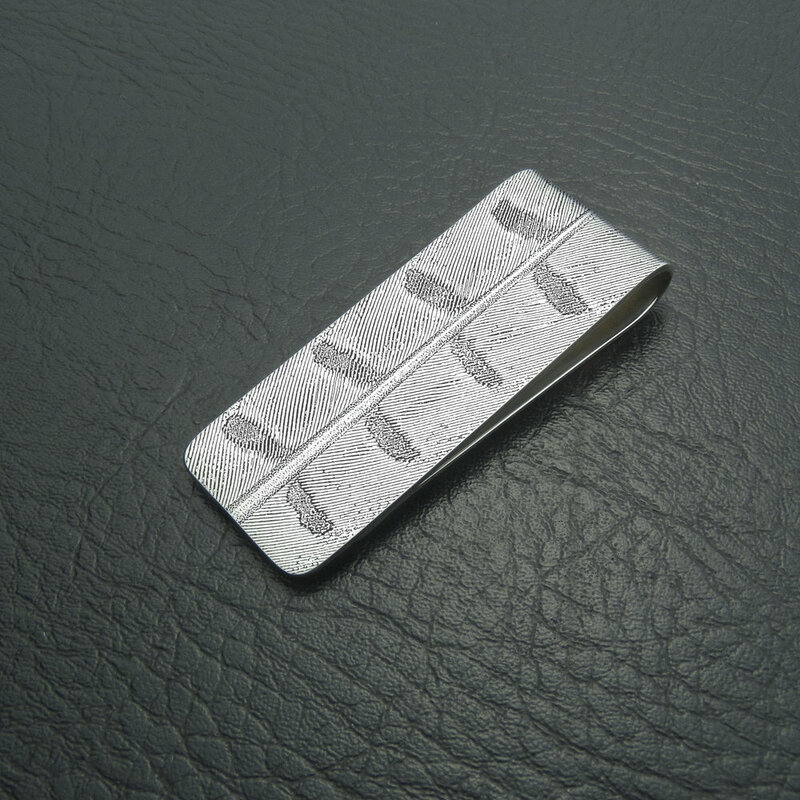 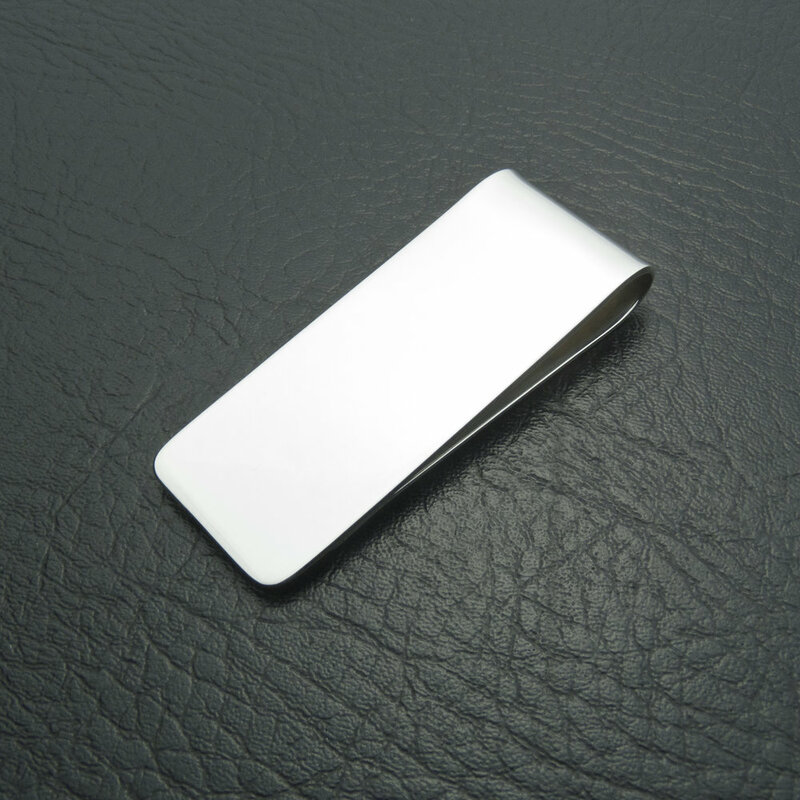 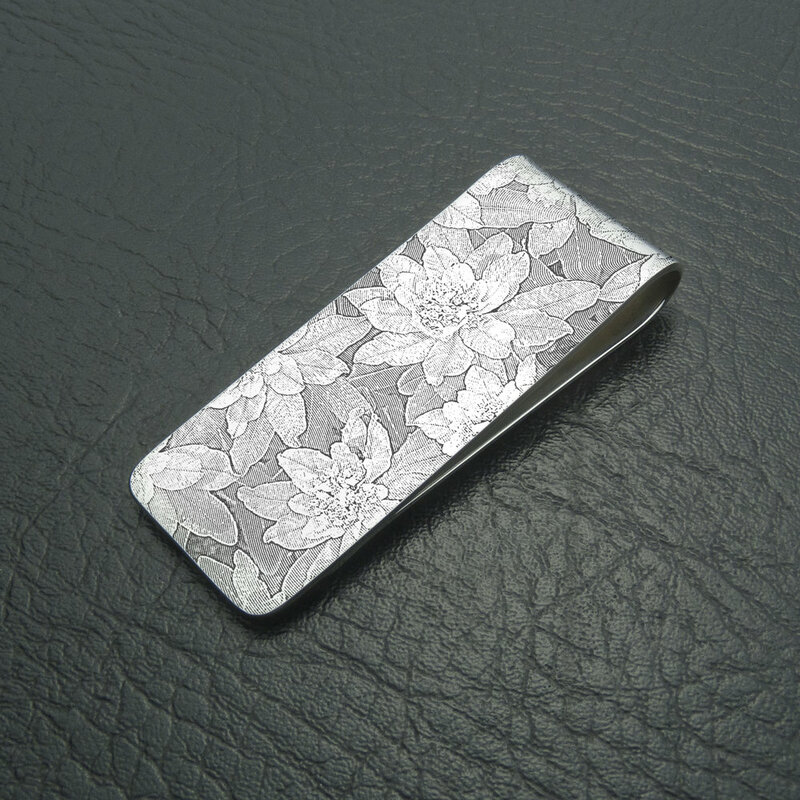 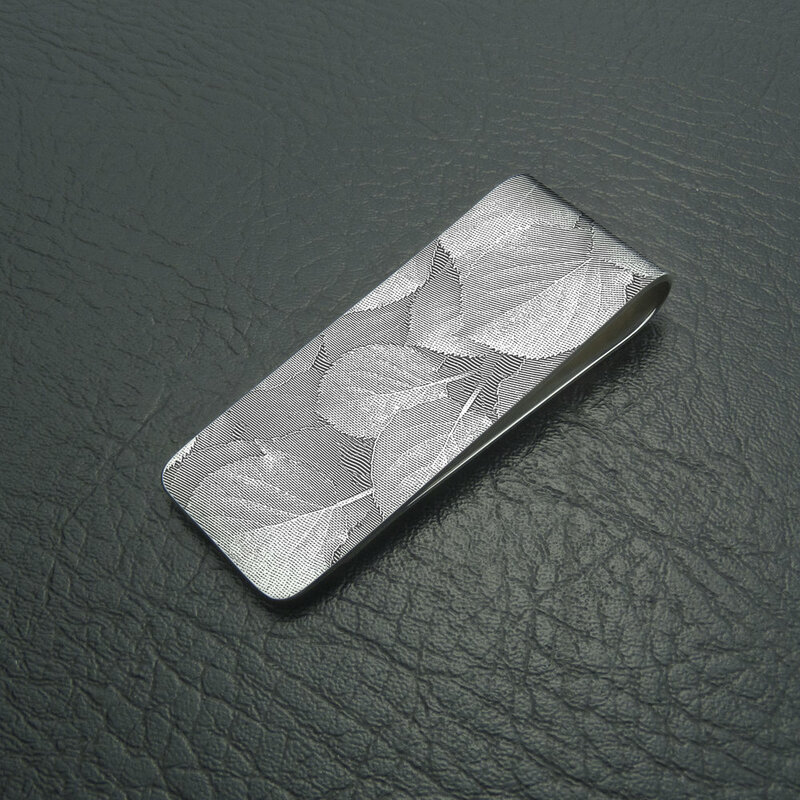 The photographs below are prototype silver money clip designs. On a computer, etch designs have been overlaid onto the first photograph of the “Polished Silver” money clip. Some of the designs are pretty much finished, subject to creating the actual etching image. Some of the designs, I would like to experiment with further. 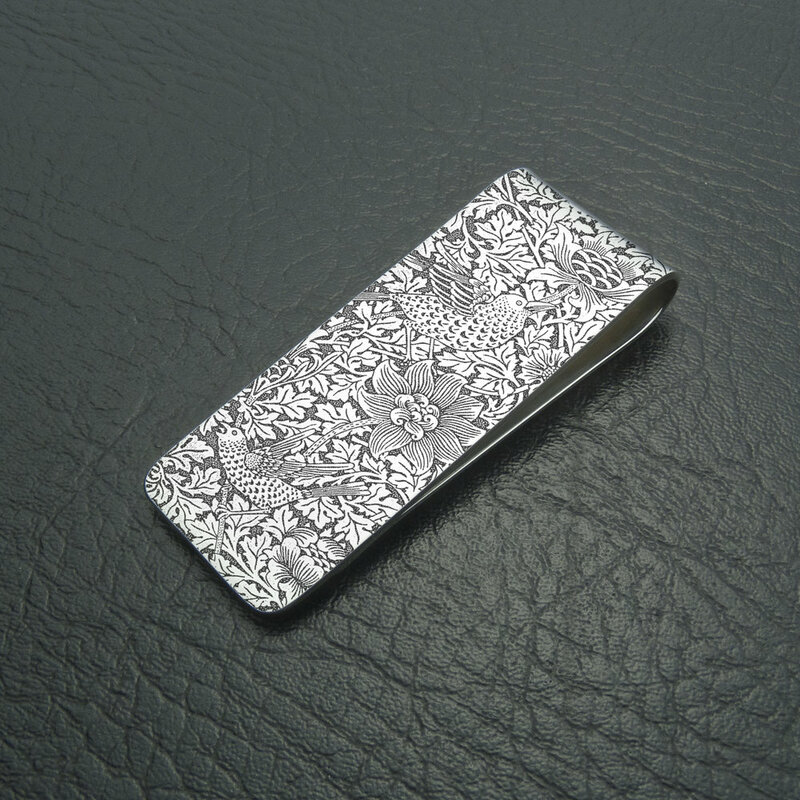 "William Morris - Bird & Anemone"
"Richard Shirley Smith - Decorated Rule"
"Curls / Bee & Curl"